The first time I remember seeing the floor of my bedroom (surprised to find I had a lovely light blue carpeting!) was the day I left for college. Since having a baby and becoming a permanent roommate, I have learned to maintain a semblance of order and cleanliness in my home; but at heart, I will always be a disorderly mess. Whenever I travel, my messy-true-self calls to me: living out of a suitcase, no hangers, and sometimes even a cleaning person to boot! By day two of travel, I invariably revert back to my messy, clothes-hanging-from-the-lampost self. 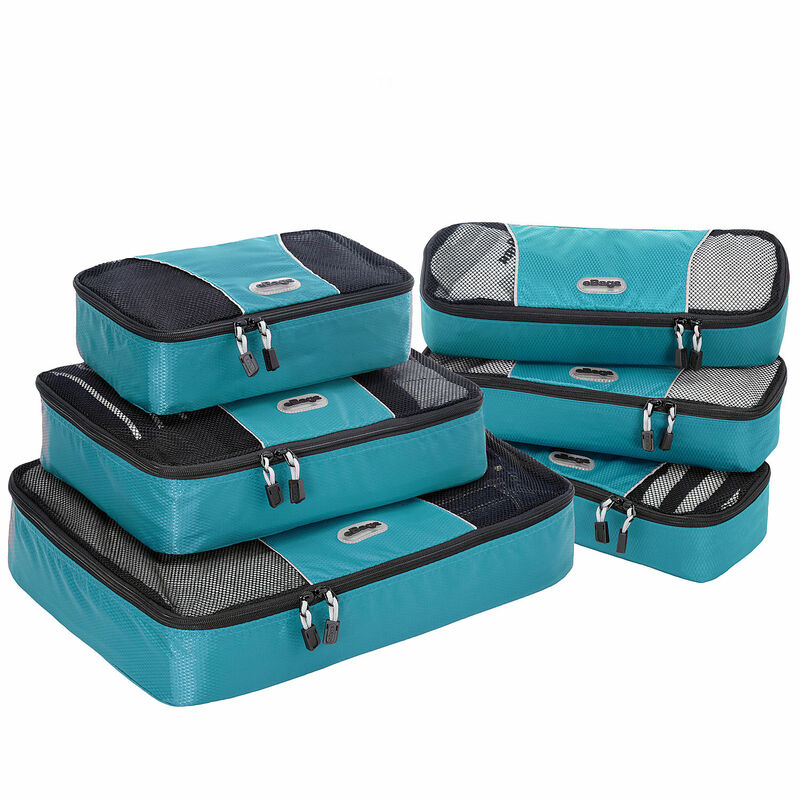 I think- I hope- I have finally found a remedy to keep my mess in check: Packing Cubes. I found a set of 4 of these mesh, nearly weightless, cubes for $15 at Marshalls (online, they usually go for $30). On our most recent trip to North Carolina, I organized my clothes as follows: 1 medium cube for Sydney's stuff; 1 small cube for socks and underwear; and 1 large cube for all of my other clothes. When we arrived in North Carolina, unpacking consisted of merely pulling out the cubes from the suitcase: I had no excuse to throw clothes all over the room just because I needed to get to a shirt.